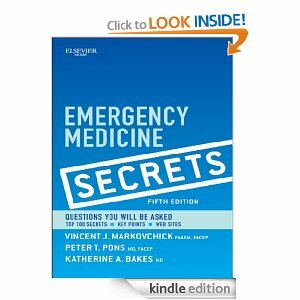 Emergency Medicine Secrets, 5th Edition, by Drs. Vincent J. Markovchick, Peter T. Pons, and Katherine M. Bakes, gives you the emergency medicine answers you need for successful emergency medicine care. Featuring new chapters and revised content to bring you completely up to date, this dependable review and reference retains its engaging question-and-answer format.